Mangoes are available in over 100 varieties and are enjoyed by people in many parts of the world. A tough-skinned tropical fruit, the mango features a sweet, orange- to red-color flesh inside when ripe. Kensington pride, Kent, Palmer and sensation are only a few of the many varieties of mango available through groceries and markets. Enjoyed by itself or as part of a chutney or salsa, mangoes are best when they are at the peak of ripeness. Select a mango that is free from dents, cuts, cracks or obvious bruising. 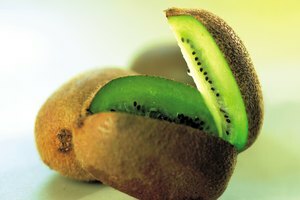 Hold the mango in your hand and press on the tough outer skin of the fruit with your thumb or index finger. 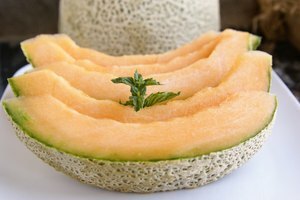 Do not jab into the fruit, rather push on the skin with the pad of your thumb or finger. Watch and feel how the skin of the mango reacts. If the skin gives a small bit rather than being hard to the touch, then the mango is near or at the point of being ripe. Smell the stem end of the mango. Hold the end of the mango, where the stem was attached, up to your nose. If the fruit is ripe there will be a fruity aroma. If not, the mango is probably not yet ripe. Place a mango that is hard to the touch or has no aroma in a bowl with ripening bananas or other fruit. Allow the mango to sit for a day or so and test again for ripeness. Do not attempt to judge the ripeness of a mango by the color of the skin. 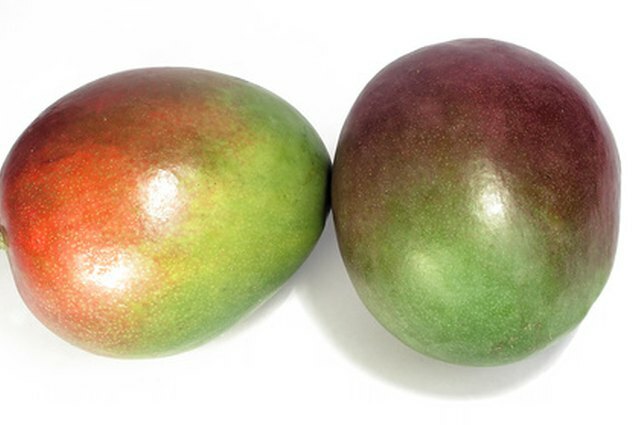 Dark green, light green or even rose red on the skin does not indicate the ripeness of a mango. 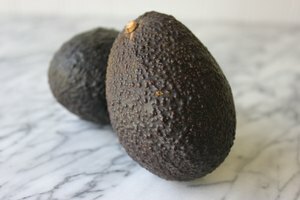 How to Know If an Avocado Is Bad?